Register for Camp Fall Reunion! Missing Camp? We sure miss you! Join us on Sunday, November 4th at Camp for an amazing reunion! The reunion is open to campers and staff from any summer, along with friends and family. 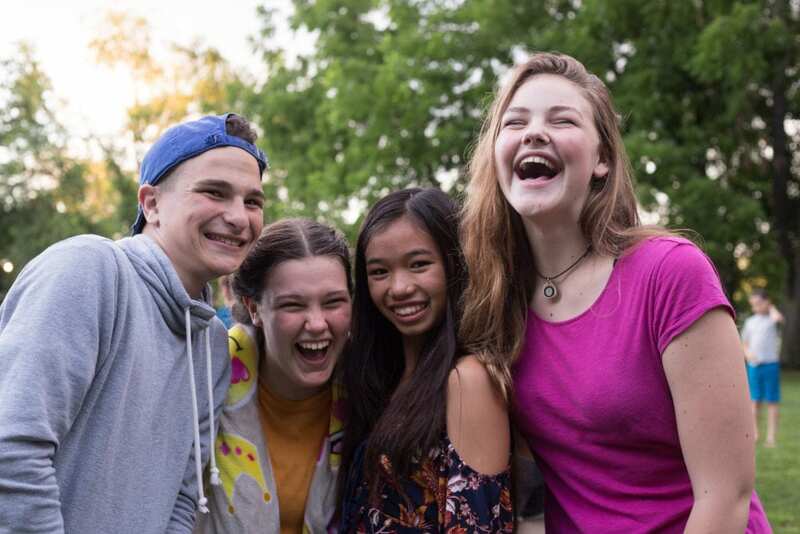 Come reconnect with friends and counselors and relive your best camp days with lunch in the Dining Hall, lounging at the Adirondack chairs, fun free time activities (like GOLFBALL), and art workshops based on some of our most popular classes this summer. The event will even feature a Camper/Counselor concert to close out the day, so start thinking of what you want to perform! The reunion costs $15 per person which includes lunch and workshop supplies. Take the bus from New York City or West Orange round-trip for an additional $35. You can attend the reunion for FREE if you are registered for Camp 2019 or if your family is registered for the Family Camp Weekend. Click here to register for the Camp Fall Reunion. Questions? Call 856-358-2472 or email camp@appelfarm.org.